Now transferred QB Russell Wilson helped his N.C. State squad beat North Carolina like a red-headed stepchild every time they met. Now the Wolfpack will try to vanquish their Chapel Hill rival with a quarterback from Virginia in a match up of signal callers from the Commonwealth. N.C. State QB Mike Glennon played for West Springfield and his Tar Heel counterpart played for Westfield High in Centreville. They faced off in the 2007 Virginia state high school playoffs, with Glennon's team winning 58-34. It will be the first start for both in this Tobacco Road rivalry. For a complete preview of all of this week’s games from Rivals.com, click here. 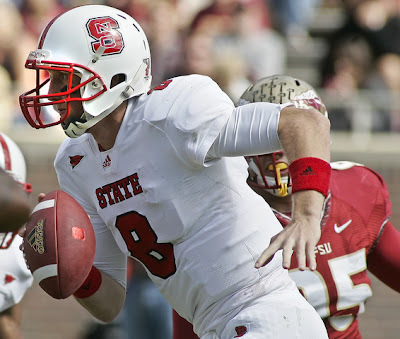 For “What To Watch In The ACC: Week 10” by Heather Dinich, click here.